Banks given 180-day time for NPA resolution, matter to be referred to Insolvency Board within 15 days. The Reserve Bank of India on Monday precluded chances of banks reporting divergent asset classification norms on the same account by stating that if in a consortium a bank faced default, others must start taking action to recover the dues. The framework did away with many existing guidelines on stressed accounts while simplifying them under a single code. This means the RBI’s existing norms on Scheme for Sustainable Structuring of Stressed Assets (S4A), ownership norms on stressed accounts, guidelines on Joint Lenders’ Forum (JLF) and Corrective Action Plan (CAP), Strategic Debt Restructuring Scheme (SDR) and such myriad of schemes are now part of a simpler, easy to reference, scheme. “The extant instructions on resolution of stressed assets such as Framework for Revitalising Distressed Assets, Corporate Debt Restructuring Scheme, Flexible Structuring of Existing Long-Term Project Loans, SDR, change in ownership outside SDR, and S4A stand withdrawn with immediate effect. Accordingly, the JLF as an institutional mechanism for resolution of stressed accounts also stands discontinued. All accounts, including such accounts where any of the schemes have been invoked but not yet implemented, shall be governed by the revised framework,” the RBI said. “All lenders must put in place board-approved policies for resolution of stressed assets under this framework, including the timelines for resolution. As soon as there is a default in the borrower entity’s account with any lender, all lenders -- singly or jointly -- shall initiate steps to cure the default,” the central bank said on its website. This eliminates chances of banks interpreting assets. While one bank classified an account as stressed, or non-performing asset (NPA), others continued to show them as standard. This required the RBI auditors to force show them as divergence in NPA reporting. While private banks lead in the game at first, the third quarter results of State Bank of India revealed a divergence of more than Rs 230 billion in NPA classification. The RBI’s new mandate means that that is unlikely to happen going forward as once an account is marked as stressed in one bank, other banks will have to acknowledge that and start following a standard procedure. 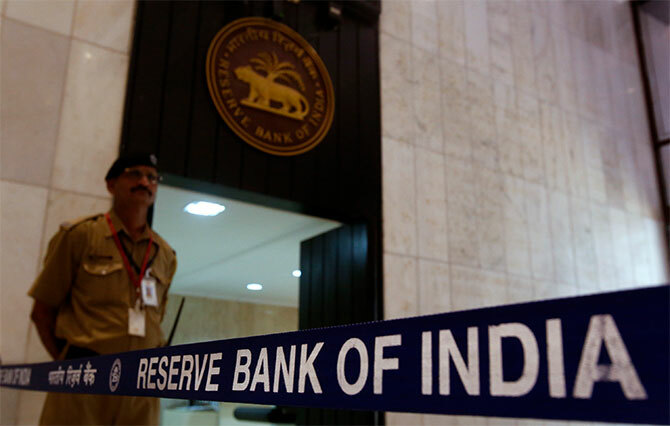 “The resolution plan (RP) may involve any actions/plans/reorganisation including, but not limited to, regularisation of the account by payment of all over dues by the borrower entity, sale of the exposures to other entities/investors, change in ownership, or restructuring,” the RBI said, while mandating that the resolution plan should be clearly documented by all the lenders. Continuing with its earlier stance, the RBI said lenders shall identify incipient stress in loan accounts, immediately on default, by classifying stressed assets as special mention accounts (SMA). If the principal or interest payment or any other amount wholly or partly overdue between one to 30 days, an account would be SMA-0, for 31-60 days SMA-1, and for 61-90 days, SMA-2 would be the categorisation. Starting February 23, the defaulters of above Rs 50 million and above will be monitored by the RBI on a weekly basis, as banks will have to report the status of those accounts at the close of the business day on Friday to the RBI’s Central Repository of Information on Large Credits (CRILC). In case the accounts are not in default, the information would have to be sent on a monthly basis. A resolution plan would be deemed to be ‘implemented’ only if the borrower entity is no longer in default with any of the lenders. But if the resolution involves restructuring, then all related documentation, including execution of necessary agreements between lenders and borrower/creation of security charge/perfection of securities are completed by all lenders; and the new capital structure and/or changes in the terms of conditions of the existing loans should get duly reflected in the books of all the lenders and the borrower. While accounts with aggregate exposure of Rs 5 billion and above shall require two such ICEs, others shall require one ICE. And, if in default after the reference date, then 180 days from the date of first such default, the RBI framework said. “If an RP in respect of such large accounts is not implemented as per the timelines specified … lenders shall file insolvency application, singly or jointly, under the Insolvency and Bankruptcy Code 2016 within 15 days from the expiry of the said timeline,” the RBI said.